I did my first ever interview today where I was the interviewer not the interviewee! We’re currently hiring at my work and I’m involved in the process, so that’s pretty fun. Other than that it’s been a normal Monday and good start to the week – I also beat my cycling home PB! 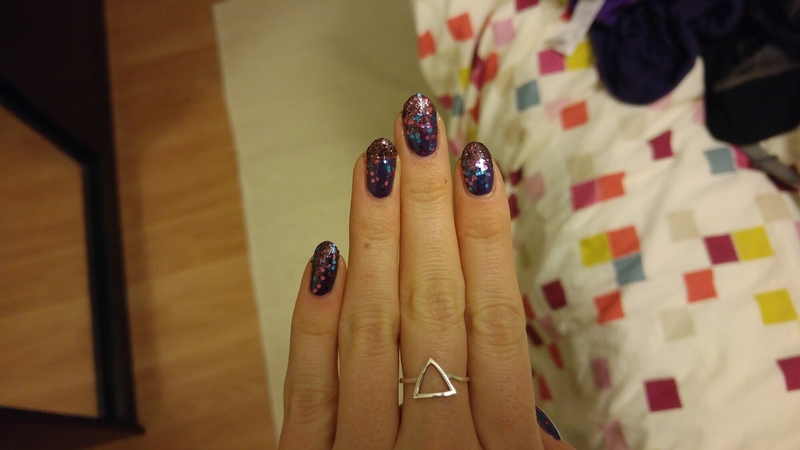 I also did my first glittery manicure of the season! Christmas nails are the best nails. But now I’m finding glitter everywhere.. Oh dear!